Fantastic Beasts: The Crimes of Grindelwald is out later this year and follows the hugely successful Fantastic Beasts and Where To Find Them, which was a box office smash back in 2016 as it went further back into the Harry Potter universe. The new trailer confirms the involvement of Nagini, the Maledictus, who of course goes on to become Voldemort’s final Horcrux. Watch above. 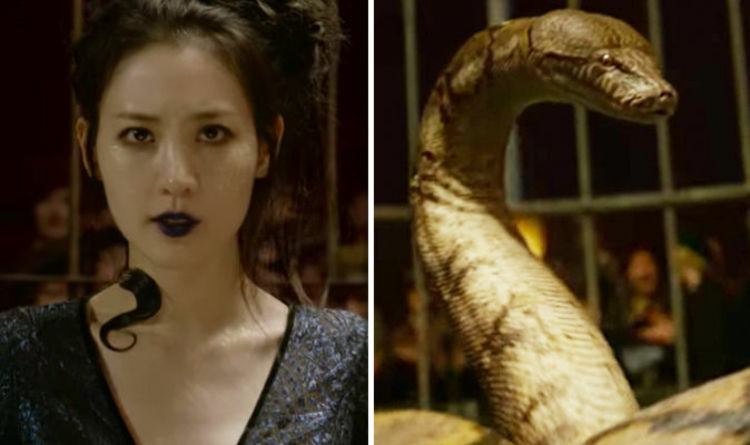 Earlier this year it was confirmed that Claudia Kim would be on board to play the Maledictus; the main attraction of a wizarding circus called Circus Arcanus – carrying a blood curse that makes her transform her into a beast. Some had been theorising that she could go on to become Nagini, the snake from the main Harry Potter stories – but this had never been confirmed until now. Kim told Entertainment Weekly: “It will be so interesting to see another side of Nagini. “You’ve only seen her as a Horcrux. In this, she’s a wonderful and vulnerable woman who wants to live. But Grindelwald has escaped custody and has set about gathering followers, most unsuspecting of his true agenda: to raise pure-blood wizards up to rule over all non-magical beings. Attempting to thwart Grindelwald’s plans are Albus Dumbledore (Jude Law) and his former student Newt, who agrees to help, unaware of the dangers that lie ahead. Other stars on the bill include Katherine Waterston, Dan Fogler, Alison Sudol, Ezra Miller, Zoë Kravitz, Callum Turner, Claudia Kim, William Nadylam, Kevin Guthrie, Carmen Ejogo and Poppy Corby-Tuech. Fans have been reacting with huge excitement to this new trailer, which arrives just weeks ahead of the November 16 release date. “Wow! So ready to see the whole movie! November can’t come soon enough!” said one. “MERLIN’S BEARD I’VE GOT CHILLS RUNNING DOWN MY SPINE!!! !” wrote another. Fantastic Beasts: The Crimes of Grindlewald is out on November 16.